When I bought my first guitar - and cheap Washburn acoustic, I got given a book of easy guitar songs and the first song in the book, and therefore the first song I ever played on the guitar was Donovan's Colours - close to 40 years on I've probably not yet mastered it (or indeed anything on the guitar). 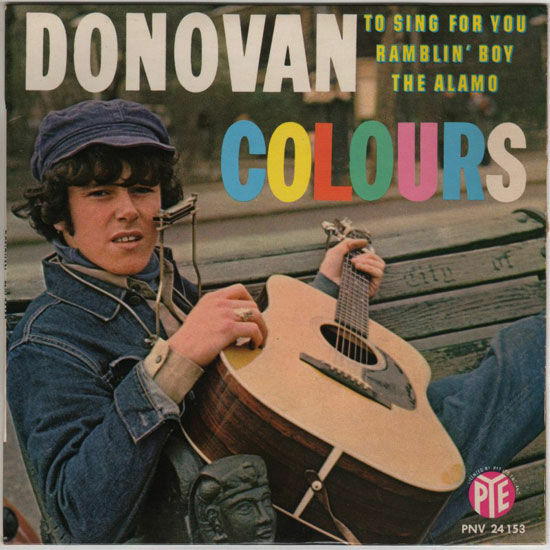 Donovan released Colours as a single in February 1965 and it reached No 4 in the UK charts and has been a staple of his act and covered by pretty much everyone. Here's Donovan's single and a couple of other versions... including Dean & Britta's which turned up on their single of Words You Used to Say in 2006.